Contributed by | Galil Motion Control, Inc.
There’s a big lump in the throat of the infantryman as he sees the dented, dirty sedan quickly approaching the checkpoint after exiting the bomb-riddled village and well-known terrorist stronghold. With his M-16 poised and adrenaline rushing, he peers in to identify the driver behind the dusty windshield. Is this the enemy? Are these civilians? A warning shot is fired, but the car speeds up, and shots to flatten the tires are not slowing this maniac down. The soldier fires again. This time, the windshield bursts and blood splatters from the driver’s forehead as the sedan screeches to a halt. For the infantryman, he can breathe a sigh of relief. Not only for a job well done, but because he also knows that the village and enemy combatant isn’t real—no matter how real it all seemed at the time. They’re all props set up by Strategic Operations, Inc. (STOPS), a San Diego-based company specializing in creating Hyper-Realistic™ training environments for military, law enforcement and homeland security operations. Since 2002, the company has provided such training to over 450,000 Marines, soldiers, sailors and Coast Guard personnel to prepare them for the battlefields of Iraq, Afghanistan and other hostile places. “Our company uses movie-industry special effects along with actual military tactics, and provides everything you can think of to re-create wartime environments with hyper-realistic scenarios. This includes props ranging from full-out villages, buildings and vehicles to live actors and realistic dummies with all the fake blood, guts and weaponry. The purpose is to train the military by placing them in action-packed, real-life combat situations so they can respond quickly and without panic, and be prepared and sensitized for any battlefield situation,” said Kit Lavell, Executive Vice-President of STOPS. There appears to be no limits when it comes to the level of “hyper” realism. For example, to simulate the horror of combat wounds, the company has employed amputee actors who will wear prosthetic limbs designed to fly off with “blood” spurting when they are shot or blown-up. “Participants (trainees) so willingly suspend disbelief that they become totally immersed and, eventually, stress inoculated,” Lavell adds. Adding to this realism is STOPS’ Ballistic Unmanned Ground Vehicle (BUGV) used for preparing soldiers for live-fire vehicle check point/entry control point scenarios, for sniper training, and for dealing with vehicles that have been converted into mobile bombs. It features an expendable lightweight foam body that can be designed and formed to simulate a sedan, taxi, bongo or pickup truck and more. It rests on a ballistic steel frame capable of holding up against a barrage of real .50 caliber bullets. Of course, no live driver sits in the BUGV; just hyper realistic foam mannequins of all nationalities. Real people, of course, are employed to operate the vehicle via a sophisticated remote control device, with key driving functions managed by a DMC-4080 8-axis Ethernet motion controller from Galil Motion Control, Rocklin, CA. The controller also incorporates two Galil D3040 4-axis, 500W drives with each capable of operating at voltages between 20V and 80V. Three of the axes of the Galil controller control the steering, shifting and throttle actions, while a fourth axis is used for additional steering requirements. Another axis is used for controlling a machine gun mounted inside the vehicle and which fires blanks at the trainees. The remaining three axes are reserved for testing and other features. STOPS uses some of the controller input/output (I/O) to operate relays that energize such functions as the ignition or turn signals. A key factor why STOPS specified the Galil controller is its ability to function with utmost reliability inside a vehicle subject to extremely harsh conditions, like wide-ranging temperatures of -10°C to 65°C; dusty, loose and uneven terrain; real ammunition and explosives; and chemicals. For STOPS, failure is not an option with the controller. “The overall robustness of the Galil controller is impressive,” said Lavell, who liked how the Tell Torque feature of the DMC-4080 takes readings from the motor of the BUG-V to determine the harshness of the terrain it is on, and then delivers its findings to the remote control “driver” so he can either ease down or rev up the engine accordingly. Other Galil features play significant roles in operating the BUGV, such as the Homing Routine and Limits feature which allows for safe power-up of the vehicle and re-centering of the wheels for each training session. “We also use Galil’s Position Tracking Mode to send position data streams from the host to the four axes used for driving the BUGV. The data throughput is excellent, with no issues, no latency,” said Lavell. The BUGV is proving to be an effective way to prepare soldiers for combat in urban environments. Officially referred to as “Military Operations on Urbanized Terrain” or MOUT, these are military actions planned and conducted on a terrain complex where man-made construction such as residences and buildings, along with increased population (as opposed to rural areas), affects the tactical options available to the commander. Typically, STOPS takes a week’s time to customize a MOUT training system, including re-creating enemy villages. “We can create real environments that look like any place in the world, such as in Afghanistan or Iraq. The buildings and villages are not only realistic, they are modular so they can quickly be built and re-built after they’ve been shot or blown up,” said Lavell. About Galil Motion Control, Inc. Privately held and profitable for over 100 consecutive quarters, Galil Motion Control, Inc. was founded in 1983 by Jacob Tal and Wayne Baron. 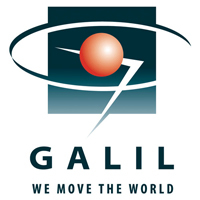 Galil became the first company to produce a microprocessor-based servo motor controller without tachometer feedback. Since then, Galil has continued to advance motion control technology and has found industry-leading acceptance with over 500,000 controllers successfully installed worldwide. Various applications include machines for the medical, semiconductor, machine tool, food processing, and textile industries. Recently, Galil has introduced several motion and I/O controllers for the Ethernet including the high-speed Accelera motion controllers, lowest cost Econo motion controllers and the RIO Pocket PLC series.